The Malawi Police Service disclosed that they failed to question a woman who was with the late President Bingu wa Mutharika when he died on April 5, 2012. The Member of Parliament, Agness Penemulungu, was in a meeting with President Mutharika when he collapsed and later died. Former Minister of Information, Patricia Kaliati, said that President Mutharika had a number of appointments the day he died. His appointment with Penemulungu was the last on the schedule. “Usually when we meet the President, the ADC goes out so they were just the two of them,” Kaliati told Zodiak in April. 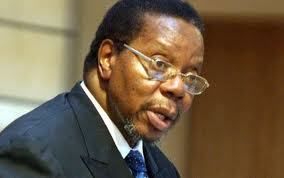 Strangely, the police say Penemulungu has not yet been interviewed out of respect for Mutharika’s family. “This is a still mourning period so as the police we can’t be doing something that will upset the family,” said National Police spokesperson Davie Chingwalu. Penemulungu has yet to speak to any journalist on the matter. Her husband has urged media houses to give Penemulungu her privacy. But, some question why it has taken authorities so long to interview Penemulungu. Her colleagues said she told her office she was home sick on the day of her meeting with the former president.